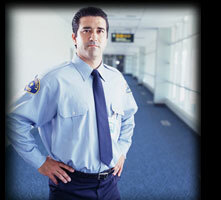 As part of our overall comprehensive commercial security system packages, we offer the option of Guard Response. If, for instance, your security system detects an intrusion, a signal is sent to our central station, where a trained technician would alert the proper authorities of the situation. With Guard Response, your business has the added protection of one of our trained Security Professionals being dispatched to your premises to assess the situation before the police arrive.